Education has benefited from positive psychology since the field began. There is no standard for implementing the research findings of positive psychology into the classroom; however, there are many practices that can change the fabric of schools and their students for the better. What is Different About Positive Education? Positive education focuses on an individual’s strengths, tendencies, and goals. It prepares students to leave school with the ability to manage their emotions, know how to use and develop their strong suits, and emerge as well-rounded humans ready to handle life’s challenges. By offering a less rigid scale for students to compare themselves with other students, this style of teaching reduces competition among peers. It also allows for stronger collaboration and teamwork. This individualized style of learning requires teachers to identify and develop their students’ socio-emotional skills or character strengths. Development of these strengths, such as perseverance, curiosity, and kindness, have been correlated with improved academic performance and workplace success. Recent research suggests that emotional intelligence may be the most accurate predictor of how well an employee will fare in a work environment. So why not teach emotional intelligence in schools? There are many ways to integrate strength-building into the school curriculum. Some schools seek to highlight when students display strengths and acknowledge and encourage them. Other schools take a more direct approach. As one example, several of the teachers at the Geelong Grammar School in Victoria, Australia have specific time blocks within their normal coursework (math, history, etc.) to teach and cultivate positive emotions and character traits. Another approach to teach character strengths is used by the KIPP (Knowledge is Power Program) network of charter schools. Known as the Character Growth Card, this approach promotes student growth over perfect grades. In 2013, Canadian-American journalist Paul Tough wrote a book called How Children Succeed, in which he explains why pure intelligence and academic measures were not enough for students to succeed in school. Instead, Tough advocates for schools to teach character traits in school. If grit and resilience became part of the school curriculum, happy and productive kids might emerge with confidence and leadership skills. Incorporating the education of traits in schools also can enhance student’s focus and academic performance (Tough, 2012). KIPP also took many of these ideas and made them an official part of how they do things at their high schools. They used a character “report card,” where students were assigned grades not only for academic subjects like math and history but also for how they well they performed on a series of seven character traits. These character traits are from the Virtues In Action research of Dr. Martin Seligman and Dr. Chris Peterson. Known as the Character Growth Card, this report card highlights growth instead of grades. KIPP’s system offers discussion guidelines and how teachers can measure these traits. But can we really teach these skills? KIPP does it in a few ways: teachers model the positive behavior, call out positive examples of the character traits in class and discuss the traits. There is no formal curriculum around “zest” or “gratitude.” Still, KIPP faculty believe that the modeling and celebrating of these examples can have a cumulative effect. Not everyone agrees with KIPP’s method. In one critique, Professor Jeffrey Snyder argues that we don’t actually know how to teach character strengths; numerically measuring can cause more harm than good. But even critics of KIPP’s approach agree on one thing: calling attention to character traits as they occur is a powerful step in the right direction. The tenets of positive psychology have been used to create other effective teaching techniques. One of these is the jigsaw classroom, a technique in which students are split up into groups based on shared skills and competencies. Each student is assigned a different topic and told to find students from other groups who were given the same topic. The result is that each group has a set of students with different strengths, collaborating to research the same topic. Students learn to appreciate the strengths of others, as well as their own. In these types of classroom settings, teachers might also treat students differently with praise and discipline. A study of praise conducted by Elizabeth Hurlock found praise to be a more effective motivator than punishment, regardless of age, gender, or ability. When it comes to praise or discipline, positive psychology offers an innovative approach as well. Each school year, some 100,000 students will be expelled from public schools in the United States (Canter 2009). Some of these students cannot return to a school in their entire state; most are forced to leave their local public school for an entire school year. When it comes to suspensions, where the student stays home for up to 10 days, the yearly count in the US rises to 3 million students. So many days of learning are lost to expulsions and suspensions. Thankfully, progressive school administrators rethinking how we discipline our kids. Sure, offensive behavior may compromise the safety and learning environment of other kids. But what can help the child learn from his or her mistakes, and not repeat their behavior once back in school? And if expelled, how are students likely to behave in their new environments? Many argue that these types of punishments alienate these children, physically and emotionally, from their peers. This leads to repeated harmful behaviors, as students internalize the notion that they are bad, with no potential for growth. There is another way and it is called restorative practices. The idea behind restorative practices is that a behavior needing disciplinary action has a negative effect on the school environment; thus, the negative effect should be the core focus when issuing disciplinary action. In one imagined example, maybe a student’s excessive speaking out loud during class disrupts the general ability to focus. In traditional discipline, the teacher might ask the student to stop talking, give them a “time out,” or issue a warning. Then, the teacher might listen and explain the effect on the other students around her. This could lead to a conversation on when are good times to speak freely, and why the current time is important to focus. In the extreme case, where a suspension or expulsion might be in store, such as a student provoking or participating in a fight, the restorative practice would be more formal. The student might participate in a meeting with other students and adult leaders in the school. They could discuss what spurred the student to start the fight, how they were feeling and what thoughts led to their actions. Next, the conversation could explore meaningful conversations around peer pressure, the importance of nonviolent communication, and how to pause when we feel emotions flood our body. Questions to guide the conversation might include, “if this happens again, what might you do?” or “do you understand why fist-fights are not okay?” The student might also be assigned activities or programs that would help prevent further fights. According to one school district, “89 percent of those who go through restorative practices do not re-offend” (Canter 2009). Criminal justice systems have used restorative justice as well. It is not a new concept. Since Martin Seligman introduced the basic tenets of positive psychology, the world has implemented it in many ways. Education and school systems have benefited from positive psychology in many ways. In schools that use positive psychology, students gain important tools. These tools can make students feel good, nurture meaningful relationships, become well-rounded and bring resiliency to the challenges life faces. For one specific example, Perth College trains its staff in positive psychology and coaching. They also offer units for ethical issues and social justice. Other schools use the Montessori system to emphasize student-led, project-based curriculums that enhance creativity. If you are curious for more on the power of positive education, Dr. Ilona Boniwell explains it’s potential in the following Ted Talk. Even organizations are consolidating and organizing the efforts to bring this knowledge to different schools and make it accessible. If you are curious about how to start your Positive Education journey, you can check out these networks, associations, and references below. 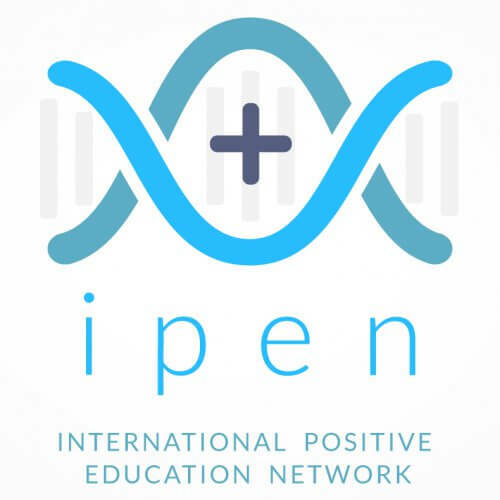 IPEN is a network that aims to bring teachers, parents, academics, student, schools, colleges, universities, charities, companies, and governments together to promote positive education. PESA is a school association working on embedding Positive Psychology into school programs, aiming to improve student wellbeing and academic performance. This association help schools and individual teachers to gain access to resources, the latest research, and enabling connections to the leaders in the field of Positive Psychology. Adams, M. (2013). Teaching that changes lives: 12 mindset tools for igniting the love of learning. Berrett-Koehler. Buy the book online from Amazon. Bruehl, M. (2011). Playful learning: Develop your child’s sense of joy and wonder. Boston: Trumpeter. Buy the book online from Amazon. Buller, J. (2013). Positive academic leadership: How to stop putting out fires and start making a difference. Jossey-Bass. Buy the book online from Amazon. Canter, L. (2009). Lee Canter’s assertive discipline: Positive behavior management for today’s classroom (4th ed.). Bloomington, IN: Solution Tree Press. Buy the book online from Amazon. Crimmins, D., Farrel, A., Smith, P., & Bailey, A. (2007). Positive strategies for students with behavior problems. Baltimore: Brookes Pub. Buy the book online from Amazon. Crone, D., Hawken, L. S., Horner, R. (2015). Building Positive Behavior Support Systems in Schools, Second Edition: Functional Behavioral Assessment (2nd ed.). New York: Guilford Press. Buy the book online from Amazon. David, D., & Sheth, S. (2009). Mindful teaching & teaching mindfulness: A guide for anyone who teaches anything. Somerville MA: Wisdom Publications. Buy the book online from Amazon. Froh, J. J., & Parks, A. C. (2012). 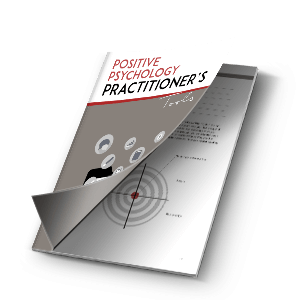 Activities for teaching positive psychology: A guide for instructors. Washington, D.C.: American Psychological Association. Buy the book online from Amazon. Ginsburg, K., & Jablow, M. (2014). Building resilience in children and teens: Giving kids roots and wings (3rd ed.). Elk Grove Village, IL: American Academy of Pediatrics. Buy the book online from Amazon. Joseph, S. (2015). Positive psychology in practice: Promoting human flourishing in work, health, education, and everyday life (2nd ed.). Wiley. Buy the book online from Amazon. Morrison, M. (2007). 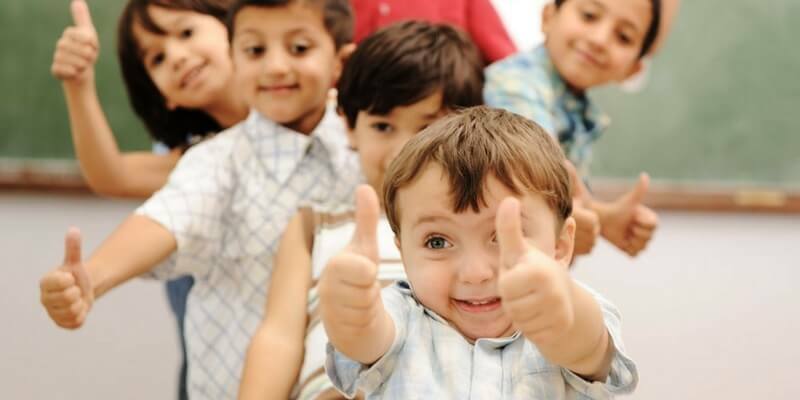 Using humor to maximize learning the links between positive emotions and education. Lanham, Md. : Rowman & Littlefield Education. Buy the book online from Amazon. Nelson, J., Lott, L., & Glenn, S. (2000). Positive Discipline in the Classroom: Developing Mutual Respect, Cooperation, and Responsibility in Your Classroom. Harmony. Buy the book online from Amazon. Nelson, J., Escobar, L., Ortolano, K., Duffy, R., & Owen-Sohocki, D. (2001). Positive Discipline: A Teacher’s A-Z Guide, Revised 2nd Edition: Hundreds of Solutions for Every Possible Classroom Behavior Problem (2nd ed.). Harmony. Tough, P. (2012). How children succeed: Grit, curiosity, and the hidden power of character. Boston: Houghton Mifflin Harcourt. Please update us if you know of new resources or books that are not shown here. You can do so by leaving a comment below. We hope this was informative and we’d love to hear from you. What do you think are the fundamental skills we need to teach our children? Please, share your insights below in our comments section. Positive Psychology in SLA (Second Language Acquisition)came out in April 2016. See Amazon for more information. I wrote the chapter on activities in the SLA classroom and have just sent you information about a game I have developed as well.